The 58 in. Mariner’s Star quilt is a combination of two favorite Quiltsmart patterns: 58 in. Lone Star and Mini-Mariner’s Compass. Join Veronica Cox in this unique class using Quiltsmart interfacing. You can go scrappy or control your color palette. You will get perfect intersections using the Quiltsmart method. Both patterns individually are easy to make, and the combination is also easy! This is a very easy class with amazing results. 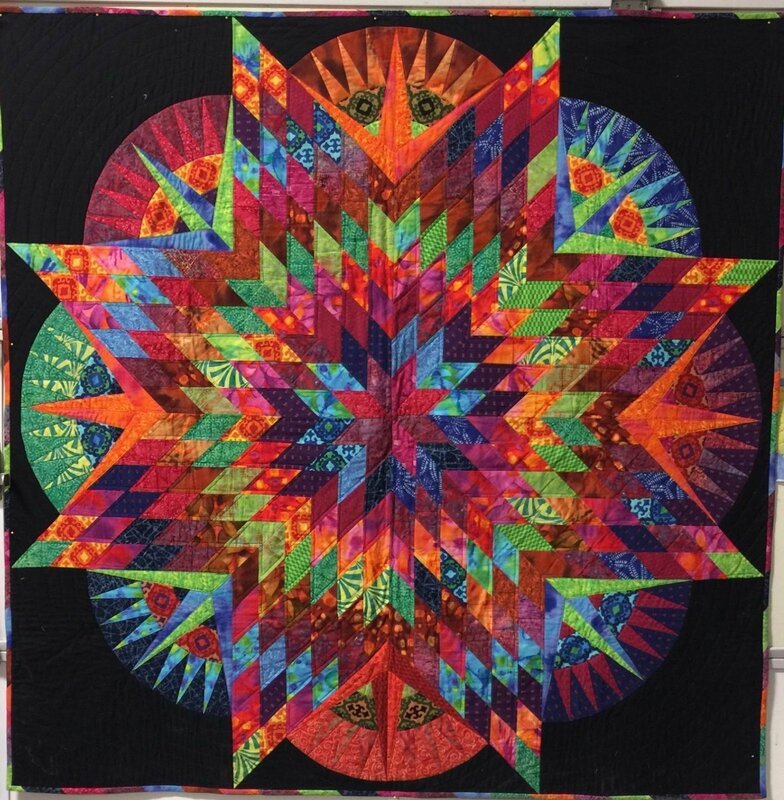 The class is a set of four sessions to allow for a completion of an amazing quilt. Requirements: Quiltsmart pattern bundle: (that includes 58 inch Lone Star and Mini-Mariner Compass.